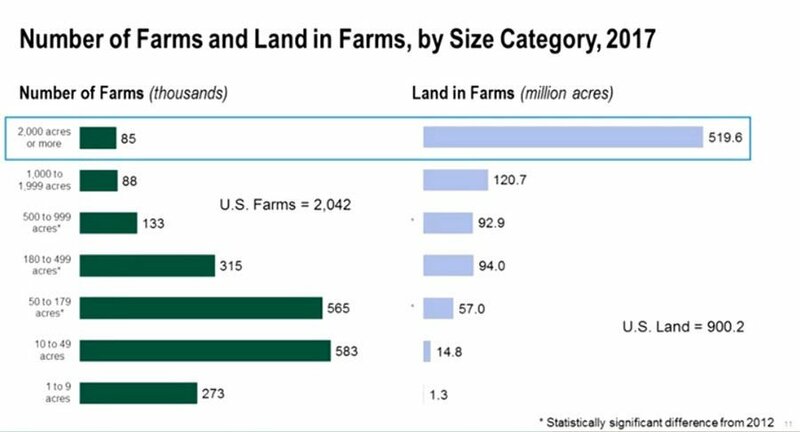 WASHINGTON, D.C. — Information collected by USDA’s National Agricultural Statistics Service for the 2017 Census of Agriculture released April 11 shows both farm numbers and land in farms have ongoing small percentage declines since the last census in 2012. 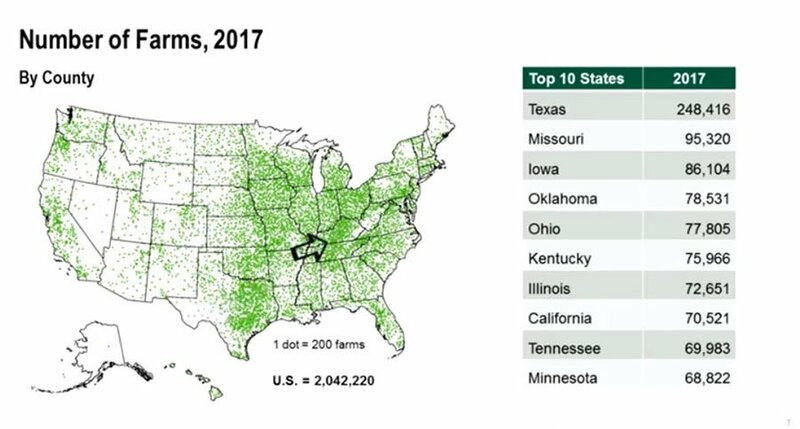 “While the current picture shows a consistent trend in the structure of U.S. agriculture, there are some ups and downs since the last census as well as first-time data on topics such as military status and on-farm decision making,” NASS Administrator Hubert Hamer said in a USDA news release. For the 2017 Census of Agriculture, NASS changed the demographic questions to better represent the roles of all persons involved in on-farm decision making. As a result, in 2017 the number of producers is up by nearly 7 percent to 3.4 million, because more farms reported multiple producers. Most of these newly identified producers are female. While the number of male producers fell 1.7 percent to 2.17 million from 2012 to 2017, the number of female producers increased by nearly 27 percent to 1.23 million. Results are available in many online formats including video presentations, a new data query interface, maps and traditional data tables available at https://www.nass.usda.gov/AgCensus/.